Piku: 2015’s First Family Entertainer coming your way! Deven Varma: First I thought I could direct your movie myself but now I think we have to get some big director from some hit movie; because their is no logic in your story anymore. 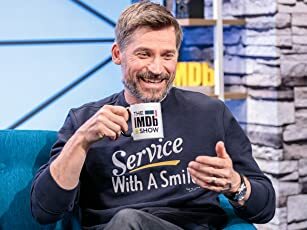 A comedy of errors in which a lie and a mistaken identity sets into motion a domino effect of such proportions that every time a character faces an obstacle your heart leaps into your mouth, only to fall back with a thud because you continuously feel the urge to laugh uncontrollably. 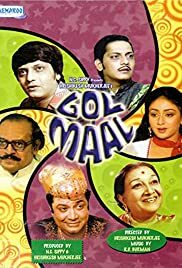 Like any Hrishikesh Mukherjee movie, Gol Maal tells the story of next door people in the most heart-warming manner with a good dose of clean and genuine humor that takes a clean bite at the culture and traditions of middle-class India. Ramprasad Sharma (Amol Palekar), a chartered accountant by profession, is a colorful personality who is a sports junkie in the afternoons and an amateur singer in the evenings. With the help of his uncle he lands up a job at a trading firm and embarks on a mission to please his boss Bhavani Shankar (Uttpal Dutt in a hilarious turn) because his whole identity is fake considering his boss disapproves fashion, vehemently opposes the obsession of sports among the youth (although he is a secret sports fan himself), dislikes people who abbreviate their names and use recommendation to get a job, encourages purity of language, and sees mustache as a symbol of pride and a window to the soul. Ramprasad has none of the "good" qualities sans the mustache, his only saving grace, which he ends up losing in an attempt to save his skin after being spotted at a Hockey match by his boss. Remembering the plot of a movie an actor friend of his is doing, he manages to convince Bhavani Shankar that it was not him whom he had seen at the stadium but his jobless, good-for-nothing, clean shaven identical twin Laxmanprasad Sharma aka Lucky. So, during the day Ramprasad works as a straight-as-a-reed worker bee quoting quasi intellectual teachings of his imaginary father and in the evening takes on the role of his mustacheless notorious twin brother who teaches music to the boss's daughter and also romances her on the sly. Hrishikesh Mukherjee, once again succeeds in creating a complex story around some simple and some quirky characters like Mrs. Kamala Srivastav (Dina Pathak) – a reluctant mother for hire and Bade Babu (Yunus Parvez), a not so bright colleague of Ramprasad whose favorite pastime is pulling hair out of his nostrils. He went so far as to mount this broad satire on the platform of Bollywood itself wherein an actor friend of Ramprasad Deven (Deven Varma as himself) mouthpieces the idea that life indeed is stranger than fiction as depicted in the movies and does the humble job of furnishing the fake mustache to the protagonist, the complex results of which sets the whole hanky-panky business into motion. The rest of the cast is mediocre except for Shobha Khote and David in minor roles. Bindiya Goswami as the love interest only shines in her introduction scene and has nothing better to do except look lovelorn. Needless to say, it is the comic timing between Uttpal Dutt and Amol Palekar that is the star of the movie and the two went on to do three more films together with mixed results.